We are delighted to announce the names of the narrators of the Singing to Survive concert. Three well-known and accomplished actresses, Stephanie Cole, Louise Jameson and Veronica Roberts, have all generously agreed to lend their talents to tell the story of the vocal orchestra of the Sumatran camps. All three are very familiar with the story of the women prisoners of the Japanese having all previously starred in Lavinia Warner’s drama Tenko which is currently airing on the Drama Channel. Stephanie played Dr Beatrice Mason who desperately tried to save as many prisoners as she could from disease and starvation amidst appalling conditions; Louise was mouthy cockney Blanche Simmons whose unruly behaviour led to fearsome punishments; while Veronica Roberts was Dorothy Bennett, a housewife who after losing her husband and child turned to prostitution with the guards. All three actresses have enjoyed much success post-Tenko. 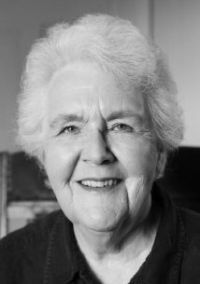 Stephanie Cole (left) has most recently played Sylvia Goodwin in Coronation Street and Evelyn Floodporter in an adaptation of The Lady Vanishes. 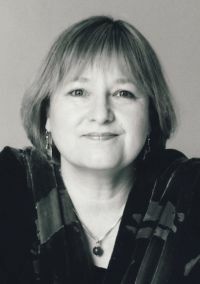 Other prominent roles have included: Auntie Joan in the Cornwall-set drama Doc Martin; senile Peggy Beare in Keeping Mum; acerbic pensioner Diana Trent in the sitcom Waiting for God; Betty Sillitoe in A Bit of A Do; Muriel in one of Alan Bennett’s acclaimed Talking Heads monologues; Sarah Mincing in the children’s series Return of the Antelope; and Delphine Featherstone ‘The Black Widow’ with Ronnie Barker in Open All Hours. Stephanie can also be heard on the popular Radio 4 series Cabin Pressure and Ed Reardon’s Week. Louise Jameson (right), like Stephanie Cole, has also recently taken a regular role in Doc Martin, playing Martin Clunes’s unreliable mother-in-law Eleanor Glasson. Other roles have included Susan Young, Jim’s estate agent girlfriend, in Bergerac; Rosa Di Marco in Eastenders, taxi-driver Janet in Rides; Tania Braithwaite in The Secret Diary of Adrian Mole; and Dr Anne Reynolds in The Omega Factor. She is perhaps still best known for playing Tom Baker’s leather-clad knife-wielding companion Leela in Doctor Who. Veronica Roberts (left) has recently been seen on television in Merlin, White Heat, Holby City, and Doctors. Other roles have included: Mrs Goddard in an adaptation of Jane Austen’s Emma; Mary Cooper in Midsomer Murders; and Gloria in Party Animals. Aside from her role in Tenko she is best remembered for playing vet Laura Elliott in Peak Practice. 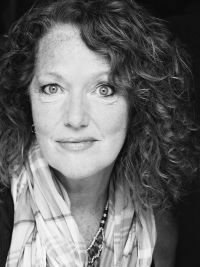 Veronica now directs as well as acts and recently won an award for directing Louise Jameson in the play My Gay Best Friend.